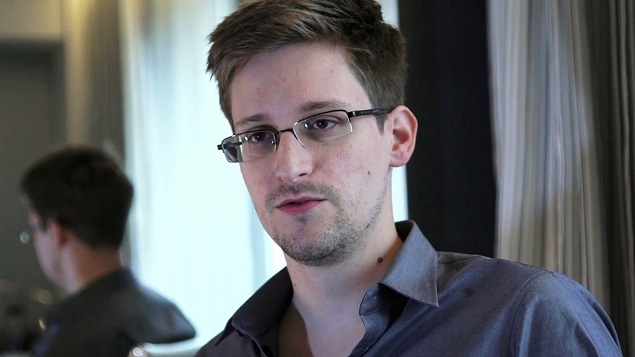 "Snowden handover is one of various ploys to "curry favor" with Trump"
Russia is reportedly considering turning over whistleblower Edward Snowden as a gift to President Donald Trump, a report from NBC News suggested. Snowden seized on this report saying that the story vindicates him of charges that he was a Russian spy. The publication confirmed the intelligence that Russia is considering the possibility of extraditing Snowden to the US with a second source in the intelligence community. During his campaign, Trump called Snowden a “traitor” and that he should be executed if he ever sets foot back in the country. His election victory had prompted several calls from the civil society to President Obama for a pardon. While many expected Obama to give a reprieve to Snowden, the White House said that “Mr. Snowden has not filed paperwork to seek clemency from this administration”. NBC added that the former deputy national security adviser Juan Zarate doesn’t want the new administration to accept the Snowden offer from the Russian President Vladimir Putin. “For Russia, this would be a win-win. They’ve already extracted what they needed from Edward Snowden in terms of information and they’ve certainly used him to beat the United States over the head in terms of its surveillance and cyber activity. While Zarate links Snowden’s information to Russia’s growing capabilities in cybersecurity and cyberwarfare, Snowden sees this as a good sign. This is not the first time that we are hearing about Snowden being “gifted” to Trump. Earlier in January, Hillary Clinton’s top CIA supporter Mike Morrell had already suggested Putin giving Snowden to Trump as a gift to make up for “Moscow’s anti-democratic activities at home and destabilizing activities abroad in exchange for a partnership on issues where our interests overlap, such as on extremism”. At the time of Morrell’s “recommendation”, Maria Zakharova, a spokeswoman for the Russian Foreign Ministry, had jibed at the US for using humans as gifts. The funniest thing is that the former deputy director of the C.I.A. !!! does not know that Snowden’s residence permit in Russia was just extended for a couple more years. And seriously, the essence of what the C.I.A. agent is suggesting is an ideology of betrayal. You spoke, Mr. Morrell, and now it’s clear to everybody that in your office, it’s normal to bring gifts in the form of people, and to hand over those who seek defense. Snowden is accused of violating the Espionage Act in the United States. Four years ago, he found himself stranded in Moscow when he was denied to fly to Latin America after his NSA-damning articles were published in The Guardian and The Washington Post. Snowden’s leaks led to massive reforms to America’s surveillance and data collection programs. In December, Snowden had said he wasn’t really worried about being sent back to the US with Putin making some kind of a deal with Trump.